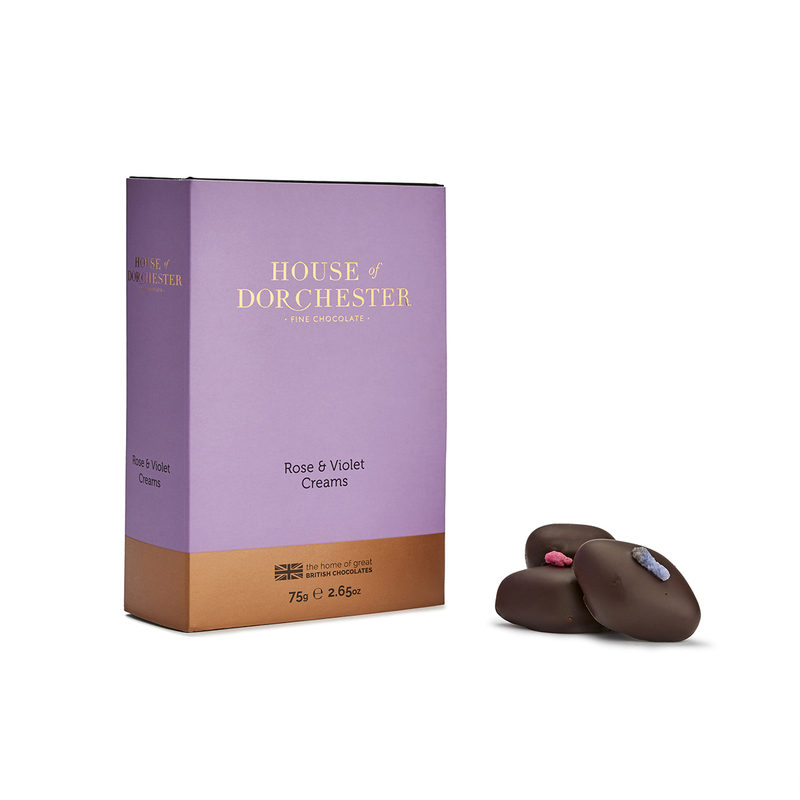 Rose and violet flavour fondant creams in a rich 70% dark chocolate and finished with a crystallised flower petal. 2013 and 2012 Great Taste Award Winner. Sugar, cocoa mass, glucose syrup, cocoa butter, emulsifier (soya lecithin), natural flavourings, natural flowers, stabiliser (gum arabic), colours (cochineal, beetroot red, indigo carmine), invertase, flavourings. May also contain milk and traces of nuts, egg, wheat and gluten. One, The Royal Arcade, 28 Old Bond St, London, W1S 4BT.